This new space, entirely renovated in 2018, perfectly encapsulates the joy of working in Luxembourg. The venue, on the third floor of a building graced with beautiful arcades, served for a long time as the centre for Swiss Bank UBS’ Private Banking centre. 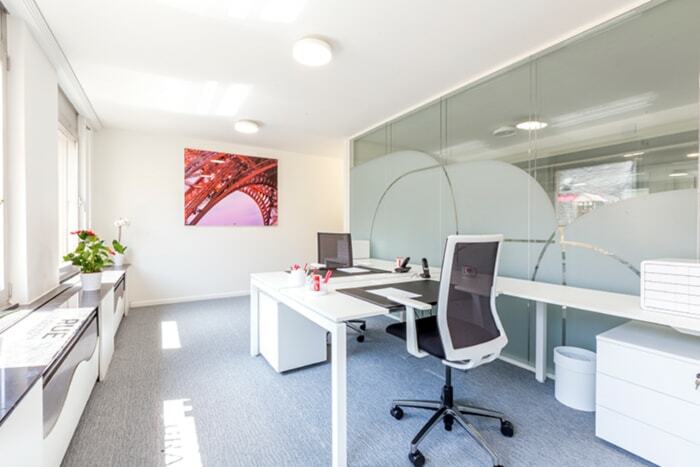 The business space, with a total surface of 300m² has been designed to meet all the needs of a private physical office, and to satisfy all the demands of a business based in Luxembourg. 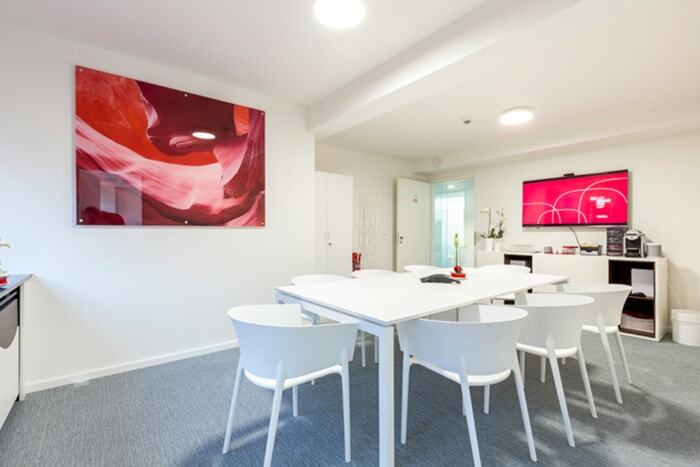 These offices are the perfect place in which to set up your business, providing an ideal blend of stimulating comfort and smart workplace to attract talent. With equipment and technical solutions to meet all your needs, this ultra-connected location is highly adaptable. The modular spaces lend themselves to a range of configurations, offering a turnkey business solution. to 3 persons from 10 to 25m². 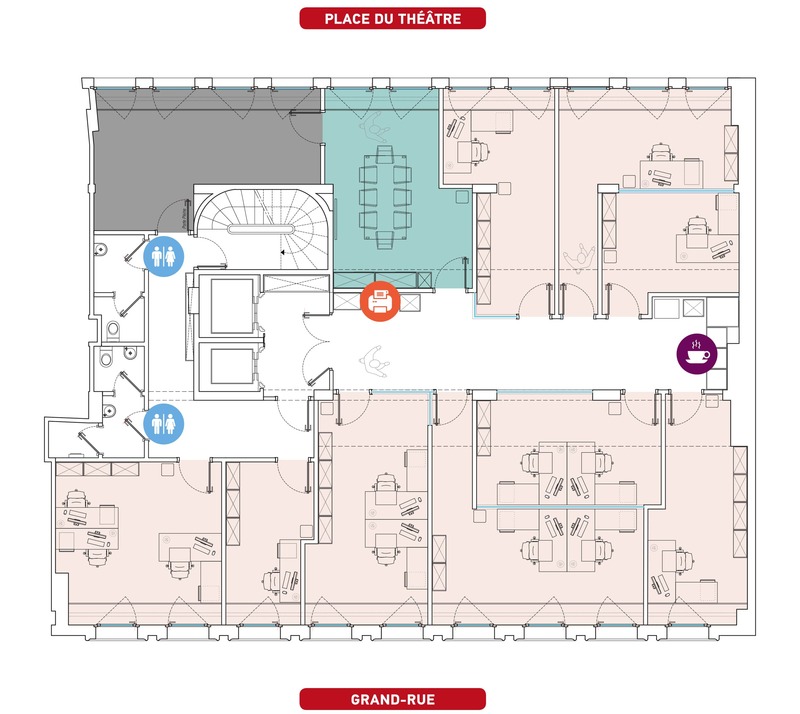 LUX GRAND-RUE offers you a functional and connected meeting room, fully in tune with the digitalization of working methods. A relaxation area Mini-breaks are an important part of any effective working day. We offer a friendly setting for your tea or coffee with biscuits. Users also enjoy access to a fridge, microwave and water fountain.